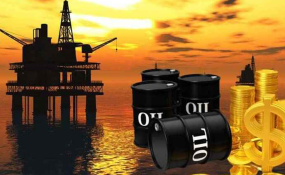 Nigeria's oil production is set for a timely boost, climbing to around 2.2 million barrels per day (mbd) by early 2019 with the start-up of the giant 200,000 barrels per day (bd) Egina field, the Minister of State for Petroleum Resources, Dr. Ibe Kachikwu, has said. "Egina should come into production in December or may be January... Hopefully, that should lift us closer to 2.15 million-2.2 million by the start of next year barring any unforeseen shutdowns," said Kachikwu in the interview THISDAY obtained in Abuja. While the country has reportedly not seen any major new oil projects in the last five years, the $16 billion Egina deep-water project by Total is seen to be pivotal to Nigeria's production increment plans. The project is at the moment the biggest oil and gas investment in Nigeria and will boost the country's crude production by over 10 per cent. Kachikwu, however, said foreign investment in the country's oil industry had improved and was "reasonably good." He further noted that production could rise by a further 200,000 to 400,000bpd over the next few years, "if we get the right sort of financial investments that are required." According to him, "longer term it (the target) is around 2.5mbd and I think you could see it creep up to 3mbd in the next eight to 10 years." In April, records from the NNPC indicated Nigeria's oil output was around 1.8mbd of oil and condensate. The country's output slumped to around 1.1mbd in 2016 due to attacks on its key oil infrastructure in the oil-rich Niger Delta. On the refineries' revamp, he said, "before the end of the year, we should see a sign-off and actually physical construction and works could start early-2019," while acknowledging that the process had been beset by delays. The refineries revamp plan involves securing financiers' money to fund the refineries' repairs, with the investors reimbursed through the off-take of refined products from the plants. "I do not think there is a need for any action unless we fully know the impact from Iran. I think there is too much of an alarm. My advice to OPEC is always to be careful of these alarms... I do not believe a big change will be taken at the next meeting." Russia's TASS news agency, citing an unnamed source, reported that the two countries, the biggest producers in an OPEC-led alliance that has been limiting supply since 2017, have started bilateral talks on the issue.